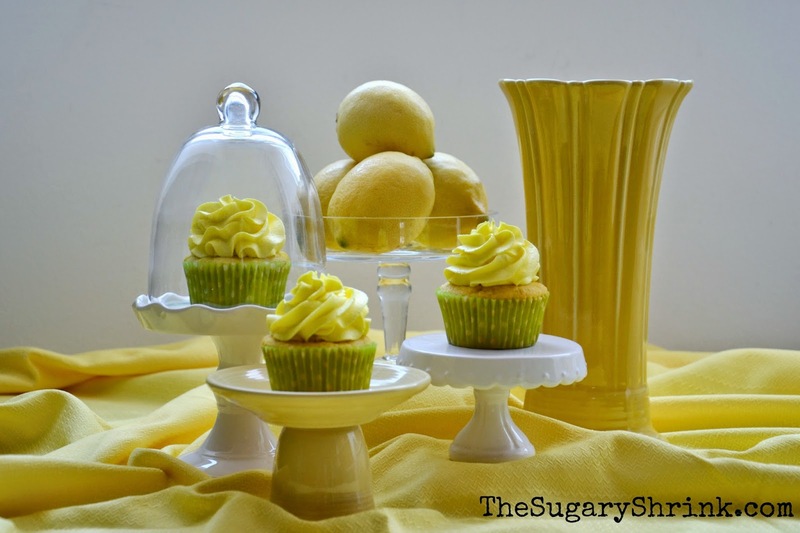 Lemon Cake with Lemon Curd & Lemon Buttercream filling, iced with Lemon Buttercream and a Lemon Slice garnish. Nothing says summer like the sweetness and tartness of a lemony lemon dessert. 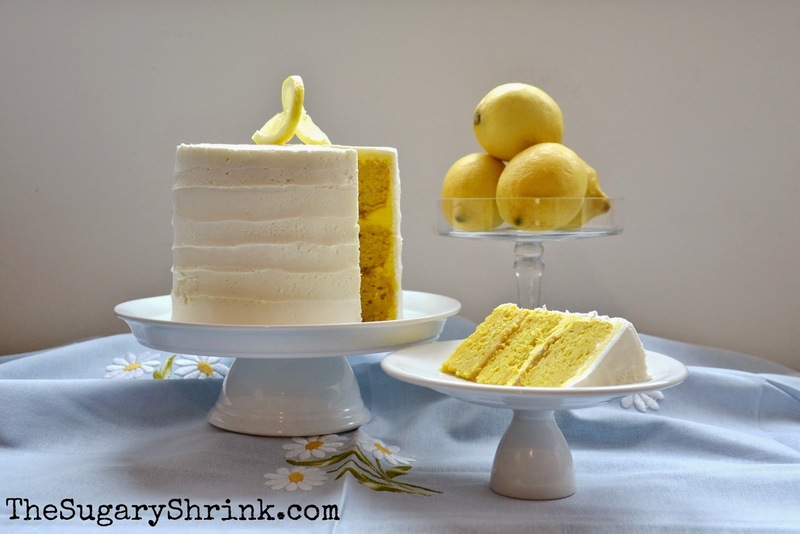 As often as I blog about lemon, I still don't get tired of baking and decorating such a classic cake. I haven't been in the kitchen as much as I'd like to lately, but that will happen from time to time. When finally back in touch with my stand mixer and measuring cups, I asked out loud, "What do I bake to today?" When in doubt...choose lemon. We returned from Venice, Italy with this table cloth. These sweet little daisies are just so charming, I had to use them. Only roses were available at the market; I'm hoping next time I'll plan ahead and take time to find daisies to incorporate in the photo shoot. When I bake a 6" round cake, I almost always try to bake a few cupcakes. Sometimes I try to match the cupcake to the cake and other instances I don't. It's good practice for me to keep trying different things. It's great to be back in the kitchen. 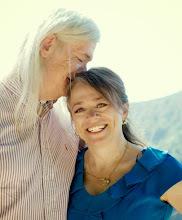 It's great to have the love and support of my life partner.